Tottenham host Borussia Dortmund in the first leg of the Champions League’s round of 16 on Tuesday, with fans of both teams and neutrals alike looking forward to what should be a blockbusting tie. 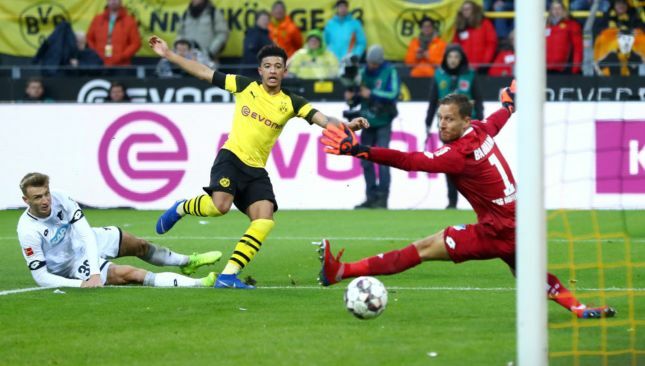 Dortmund are top of the Bundesliga back in Germany, while Spurs are holding their own with Manchester City and Liverpool at the summit of the Premier League. Both sides are playing some slick stuff in 2018/19 and this tie should have all the ingredients for a special two games. Ahead of the first one at Wembley Stadium, we pick out three talking points. His team may well be stepping out as the away side at Wembley on Wednesday night, but Jadon Sancho will likely feel very much at home. For the 18-year-old Englishman it will be only his second time trotting out on the Wembley turf, having played there when winning his second England cap last November against the USA. But the teenager was born just 12 miles away in Camberwell and grew up even closer in Kennington, even though he is now shining 385 miles away in a different country. He is the poster boy for a new phenomenon of young English players deciding to rebel against the stockpiling of young talents by the big clubs – Chelsea and Manchester City among them – and opening a door for Premier League proteges looking instead to Europe to launch their careers. The only thing causing more waves than his decision to turn his back on Pep Guardiola’s revolution, after being omitted from City’s 2017 pre-season tour squad due to a dispute over assurances of playing time, is his blistering start to Bundesliga life. An £8million move was followed by a ripple – one goal in 12 outings for the senior side last term. 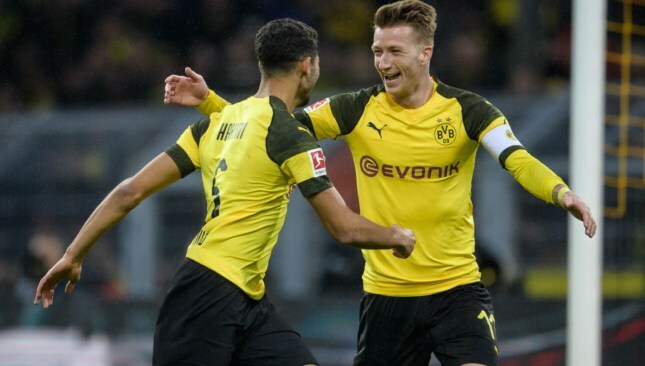 This season he has created a thunderstorm with a deluge of goals and assists (seven and nine in 28 games) as Dortmund have surged to the top of the table. He is profiting from a brave decision to take a chance abroad – a path very few before him have trodden. He is being rewarded and even though he signed a four-year deal keeping him at the Westfalenstadion until 2022 just a year after joining the club, he will very much be in the shop window at Wembley. DO DUO HAVE DEPTH TO COPE? Winks is enjoying a wonderful season. Managing multiple competitions approaching the business end of a season is a skill even the most adroit managers find difficult to master. While Real Madrid have been the masters of Europe in recent seasons, their La Liga aspirations have nosedived. That has allowed eternal rivals Barcelona to dominate domestically, albeit to the detriment of their continental dreams. With that in mind, both Mauricio Pochettino and Lucien Favre might well be conflicted as the Champions League returns. Do they rejoice or have reservations? The last 16 has thrown up some delicious treats, but this is among the tastiest, with both teams possessing rich attacking talents and playing some scintillating stuff this season – all of which points to an enthralling two legs. Both managers and sets of fans will feel confident that progression is feasible. But what tips the scales for Pochettino and Favre? How much do they risk their chances of dueling for domestic honours in the face of European glory? For Dortmund, the risk is greater. After winning back-to-back Bundesliga titles from 2010-12, the Westphalian giants have fallen by the wayside in recent year. They have failed to challenge the might of Bayern Munich in the last six seasons, with the Bavarians putting together their best ever run of successive title successes. The Black and Yellows are currently five points ahead with 13 games to go. Spurs are technically also in a Premier League title tussle – they too are five points off the lead – but are supreme underdogs in a scrap with Manchester City and Liverpool. Does that give the north Londoners the edge here? Possibly. But with both sides steeped in attacking tradition, it should be thoroughly entertaining. Both sides are blessed with an abundance of attacking riches and are enjoying fine seasons, staying true to entertaining traditions. There is no surprise here. What is surprising however is that both are embroiled in the race for the title in their respective countries. Dortmund’s once burgeoning growth has long been stymied by the dominance of Bayern. Assisted by their willingness – or perhaps reluctant acceptance of allowing top talents (chief among them Robert Lewandowski and Mats Hummels) to leave for the Allianz Arena – the Bavarian behemoths’ grip on German football has only tightened. Spurs meanwhile are also victims of stereotype. They still dwell in the shadow of north London neighbours Arsenal despite the fact a 22-year curse of finishing below the Gunners – coined St Totteringham’s Day by Arsenal fans – was ended with 2016-17’s runners-up placing as their rivals failed to qualify for the Champions League under Arsene Wenger for the first time. Still, even though they repeated the feat last season (Spurs cemented third as Arsenal sank to sixth), the failure to win a major trophy – it’s now just two paltry League Cup triumphs for Spurs in the 28 years since the FA Cup was hoisted – is gnawing away. Even as Wenger ran the Gunners into the ground, they still lifted a record-breaking 13th FA Cup in 2016/17. Despite years of hurt, however, it’s hard to argue with the brand of football being played by both sides. In Germany, BVB are blowing away Bayern in many categories – they have scored seven more goals for starters. Marco Reus, who is in injury doubt for the first leg, is joint second highest scorer with 13 alongside former team-mate Robert Lewandowski, while rejuvenated former Barcelona hitman Paco Alcacer is third on 12. 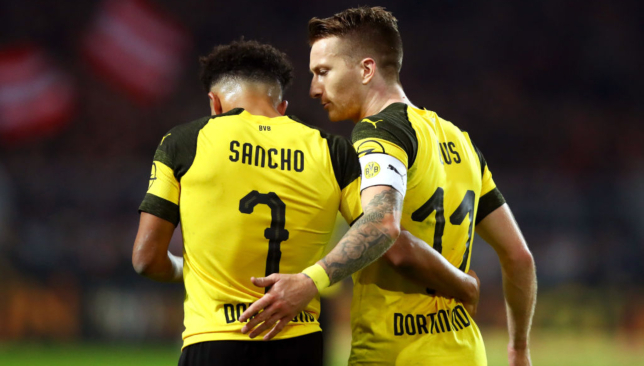 Ex-City starlet Sancho has taken the country by storm since his sensational switch, the teen tyro has nine assists – joint most with Munich’s Joshua Kimmich. Reus and Lukasz Piszczek (six) and are also inside the top 10. Sancho’s three dribbles per game is also the most in Germany’s top-flight. Meanwhile, Alex Witsel sits atop the league’s pass completion standings with 93.2 per cent. In England, Spurs are also keeping pace with title favourites Liverpool and City. Harry Kane, albeit injured, is the country’s third highest scorer with 14. Son Heung-min joins him in the top 10 on 11 – both have been absent with injury or on international duty for periods. 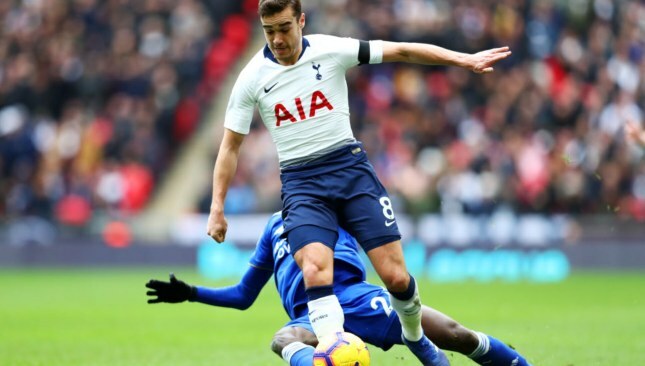 Christian Eriksen has nine assists, just one behind Eden Hazard, while Harry Winks’ 91.4 per cent pass completion is seventh best in England. Real Madrid begin the serious phase of their Champions League title defence on Wednesday as they travel to Amsterdam to take on Erik ten Hag’s Ajax. The Dutch side have always been the breeding ground for some of the best talents and the maturity shown by the youngsters is a smoke-screen for their age. Madrid endured an underwhelming first half of the season, but have sprung to life in the past few weeks and will be looking to get half the job done on the road. We examine some of the players who could make the difference in this exciting fixture. Tadic’s spell with Southampton failed to turn out like he would have expected. But the Serbian has enjoyed a career revival in Amsterdam, performing brilliantly in Europe. The winger has scored five goals and provided one assist in the Champions League this season. He also scored a brace in Ajax’s 3-3 draw against Bayern Munich in their last game of the Group stages. Bare in mind he’s not even known for being particularly prolific. Tadic is the player who has a keen eye for through-balls and boasts of an impressive 2.6 key-passes every 90 minutes in the Eredivisie and 2.0 in the Champions League. He will fancy his chance against a shaky Daniel Carvajal and the right-back could do with an extra pair of legs to help him overcome the Serbian. The Frenchman showed clear signs of decline after a disastrous start to the season. Yet, he looks to have got his mojo back in the past couple of games and the tie against Ajax could be the perfect way to make a loud and clear statement that he is not done yet. 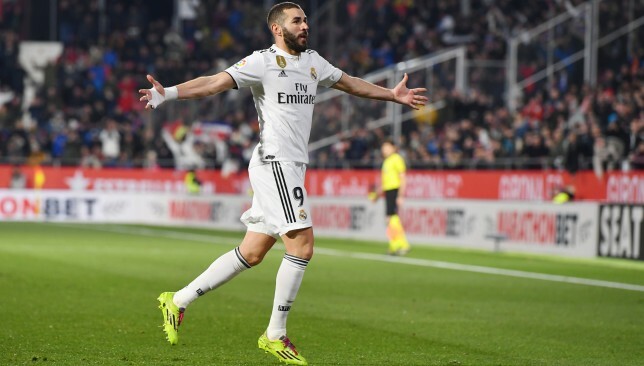 Benzema is back to doing what he does best – linking up with the midfielders, holding off defenders, creating space for the attackers and fundamentally, finishing off chances that ought to be finished. The four-time Champions League winner will have to channel his inner virtuoso if Madrid are to progress any further. The Brazilian boy wonder has been performing at a higher level than normal in the games that preceded this crucial tie. At the age of 18, he’s running circles around some of the best defenders in Spain. 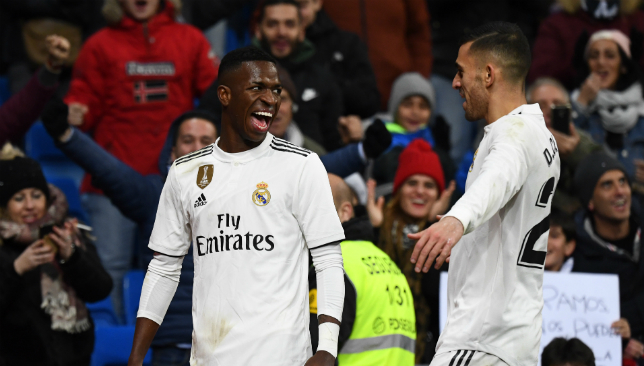 Vinicius started the move that led to Lucas Vascquez’s opener in El Clasico and won Madrid an important penalty in the derby. He will be looking to make it three big-game performances in a row as he takes on an Ajax defence that conceded six goals to Feyenoord not long ago. The Brazilian’s duel with Ajax starlet Matthijs de Ligt will be one to watch out for. An undisputed starter and a crucial element of the crux of the team for club and country at country, de Ligt will have to play one of the best games of his career so far to stop a red-hot Madrid side. The Dutchman has attracted interests from top European clubs like Barcelona, Juventus, Manchester United and Paris Saint-Germain. A solid performance against the defending champions could do a lot of good to his stocks in the summer transfer market. De Ligt was able to comfortably ward off any threat Kylian Mbappe posed when the pair met in the UEFA Nations League in 2018 and completely kept the youngster out of the game. 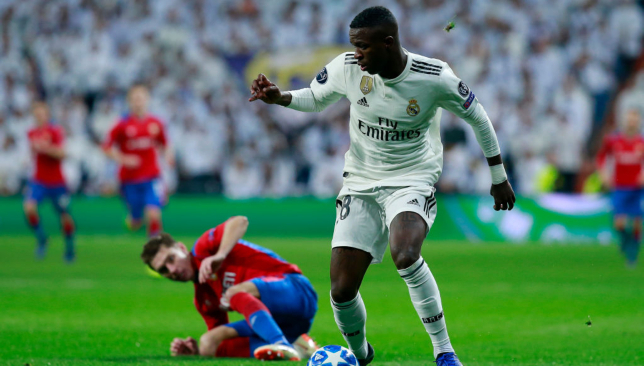 But how he responds to Vinicius – another young talent on the wings – remains to be seen. When the Champions League draw was made in December few doubted that Paris Saint-Germain would get the better of a Manchester United side labouring under Jose Mourinho. But since he was sacked and Ole Gunnar Solskjaer took over as caretaker there has been something of a revolution at Old Trafford, while PSG arrive in Manchester for the first leg of the last 16 showdown with star strikers Neymar and Edinson Cavani sidelined by injury. United, meanwhile, have been transformed since Solskjaer replaced the Portuguese, winning 10 and drawing one of his 11 games in charge. And Solskjaer believes his side are facing PSG at the perfect time as their outstanding run of form continues. Ahead of what now promises to be a mouthwatering tussle, here is a data preview.